I recently earned a Specialist Certificate in Household Management through the National Association of Productivity and Organizing Professionals. 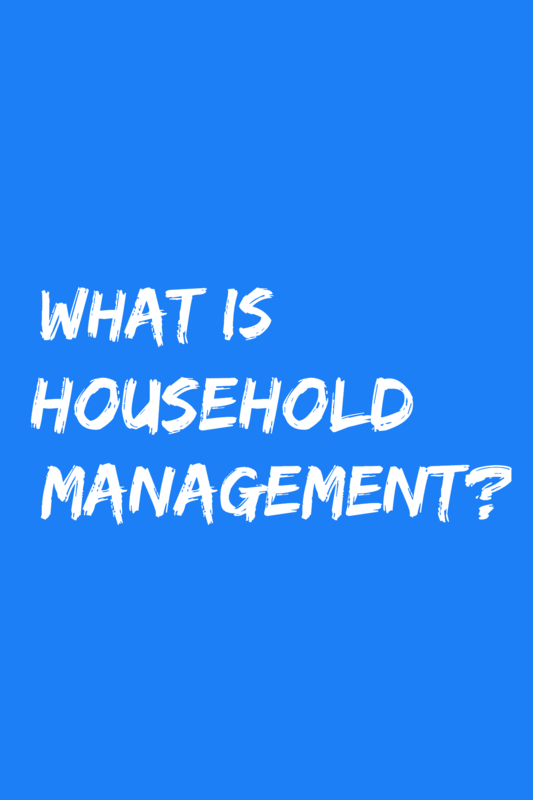 Many people ask, “What is household management?” Household management refers to the various tasks and chores associated with the organization, financial management, and day-to-day operations of a home. Effective home management is the process of properly maintaining a home and overseeing household activities. Similar to operating a business, managing a home requires skills such as planning, organizing and budgeting. As a professional home organizer, I help homeowners to declutter and organize their home. To maintain that organization, I set up systems to keep the home running smoothly. The coursework I completed to earn my specialist certificate covered many topics. By transferring these skills to my clients, they can more easily handle the everyday and emergency situations that come their way. Please contact me if you’d like a professional organizer’s guidance in household management. I am available in-person in the Raleigh, North Carolina area, and elsewhere through virtual sessions via video chat. There are so many clients that can use this kind of organizing. I find when clients call me into organize most of the time the clutter is not really caused by the space but by lack of systems and routines to be able to get things organized. It is good to hear about NAPO’s specialist certification. I agree, lack of systems and routines can lead to clutter and many clients can use this kind of organizing. Thank you for commenting. Congratulations, Nancy! It looks like there’s a wide variety of courses and lots of great education! Thank you Diane! Yes, the courses for the NAPO specialist certificate in household management are varied and educational. We were just chatting about this at conference over lunch. I feel like this would make a great high school class. Our young people are being taught so many advanced things, and yet some of them struggle with these very practical skills. I know I would have benefited from instruction on many of these at a young age. Yes, I agree. When I was in high school “home economics” was cooking and sewing, none of these other skills were taught. Education in household management would be very valuable to high school students. Thank you for commenting. Congratulations, Nancy! Those services are especially important now that they don’t teach these things in school. Thank you Janet! Exactly, since these topics aren’t often taught in school, more people need help learning household management skills. What a fast list of tasks! Congratulations on completing the certification. Congratulations on earning your Household Management certificate through NAPO! It’s a wide array of skills that you now can help clients with. I’m curious if you’ve noticed how many clients implement all of these things or if some are satisfied to have specific systems in place and let other organizing systems go? I am less intentional with particular processes such as chores or running errands. I don’t have a chart or schedule. I do them as needed. That works. I just started the classes for the Household Management certificate and I think it’s the best one yet. So much new (to me) information. Thanks for the overview. You’re welcome Janet! Thanks for commenting. Thank you Linda! I have some clients who are satisfied with some systems they have in place, and others who implement some of these systems I listed with my help. Very few implement all of these things, but pick and choose what they want to do. It really depends on the personal preferences of my clients and their families.